Math centers made easy! 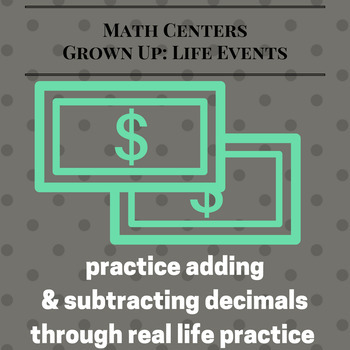 Practice adding and subtracting decimals as students learn how to be a "Grown Up" and survive life events. With one download you can practice two math standards cutting down on teacher prep and increasing engagement in the classroom!